Each of the tinctures is a bottled spell ready to be used. The incenses are also ready to be used. The herbal packets are labeled and have magical, spiritual, and folklore associations listed on the label. Loona Wynd is the owner and operator of Mystic Echoes. She has been a practicing witch for 15 years. Her specialties are in healing magic and in psychic development. She is trained in the first degree of the Usui Reiki tradition. She is a dedicant in the Temple tradition of witchcraft. She is interested in all forms of magic, energy manipulation, psychic abilities, trance work, meditation, and spirit work. She considers herself a philosopher more than anything else as well as being a witch. Mystic Echoes is on Tumblr to reach more customers. This blog is here to provide information on products and services. It is also a place where the staff can write up information regarding practices, herbal information, historical information, lore, and much more. There may be some spells and rituals provided as time goes on. 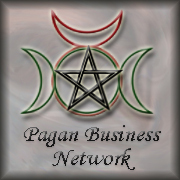 The basic goal is that we provide a place to give our customers information about the world of witchcraft, magic, occult, psychic development and much more, There is a lot to share and say on all of these topics so this blog will be quite active. Where else can we reach you? Mystic Echoes can be found in several social media outlets. Posted on April 8, 2014, in Mystic Echoes, Welcome Post and tagged Mystic Echoes, Welcome. Bookmark the permalink. Leave a comment.